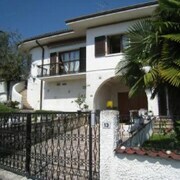 A very nice hotel located in one of the smaller towns in the Northern tip of Lake Garda. Great modern facilities and extra toiletries, slippers and tea and coffee in the rooms. We got an upgrade with a slighter bigger room on arrival. A decent breakfast but would be better with more hot options. Excellent restaurants nearby and a co op round the corner. Close to ferry port and off the main road easy to reach. Very helpful staff who took their time to help with options of where to find things. Where to find Tenno hotels near an airport? Where can I find hotels in Tenno that are near tourist attractions? If you are after comfortable lodgings in Tenno, it's comforting to know that Expedia provides many possibilities. You will find 117 hotels within 0.1 kilometres (0.06 miles) of Tenno's downtown in Expedia's up-to-date booking section. 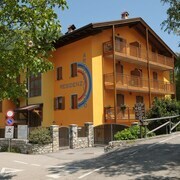 The Club Hotel Lago di Tenno, is an ever-popular choice for travelers because it the most centrally located hotel choice in Tenno. 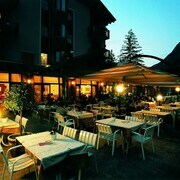 You could investigate the Lefay Resort & SPA Lago di Garda and also the Lido Palace. The Lefay Resort & SPA Lago di Garda is positioned 30 kilometres (19 miles) from the main part of Tenno. 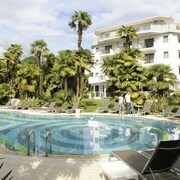 The Lido Palace, is located 7 kilometres (4 miles) away. 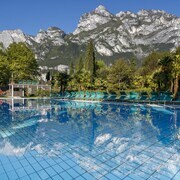 The Park Hotel Imperial Centro Tao Natural Medical Spa as well as the Hotel du Lac et du Parc are two other recommended Expedia-listed hotels in Tenno. Valeggio sul Mincio is 65 kilometres (41 miles) to the south of Tenno and is home to the Sigurta Park and Cavour Aquatic Park. Should you wish to spend a few nights in Valeggio sul Mincio, check Expedia's booking pages for the latest deals at the Hotel Agli Ulivi and Hotel Corte del Paggio. 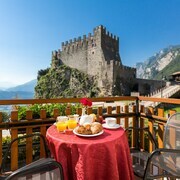 Alternatively, you could stay in Torbole sul Garda, 9 kilometres (6 miles) to the southeast of Tenno, where you can choose from the Parc Hotel Flora and Kristal Palace - Tonelli Hotels. 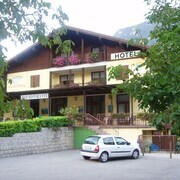 The Customs House and Piazza Goethe are a couple of the popular sites to explore when visiting Torbole sul Garda. Just because you're far from home, doesn't mean you can't indulge in your love of sporting events. You'll find Arena di Verona 55 kilometres (36 miles) to the south of Tenno. For visitors who are interested in booking accommodation nearby, make a reservation in the Grand Relais The Gentleman of Verona - Guest House or Due Torri Hotel. If you are flying into or out of Valerio Catullo Airport and choose to stay nearby try Hotel Veronesi La Torre or Residence Cà di Capri. What are the most popular Tenno hotels? Are there hotels in other cities near Tenno? What other types of accommodations are available in Tenno? Explore Tenno with Expedia.ca’s Travel Guides to find the best flights, cars, holiday packages and more!